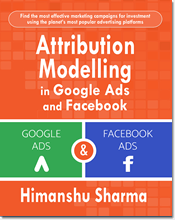 Analytics Intelligence is a machine learning algorithm used by Google Analytics which makes it easier to drill down data in GA and quickly get the insight you want. 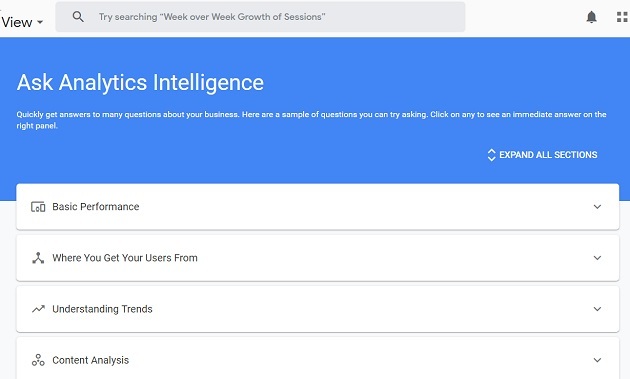 The questions that you ask about your Google Analytics (GA) data or the questions which GA Intelligence suggest are called ‘Google Analytics Intelligence Questions’. 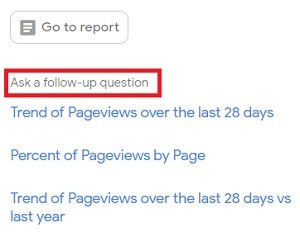 You can ask any question about your data in plain english (natural language) and GA machine learning algorithm will try to answer your question. Note: AI feature is not available in any language other than English. 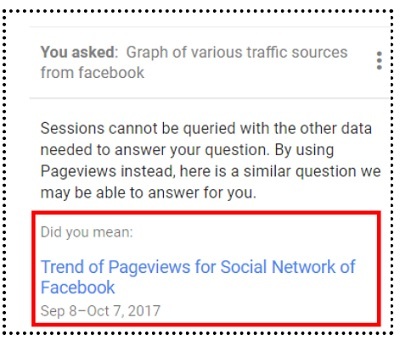 For example, you can ask Analytics Intelligence (or AI): “How many users did we have last week” and it will try to answer your question. I used the word ‘try’ because getting an answer (let alone correct answer) is not always 100% guaranteed. The quality of the answer will depend upon the quality of data, you have collected. So if your data collection is not accurate then the answer delivered by AI won’t be reliable either. AI uses historical data to answer your questions. 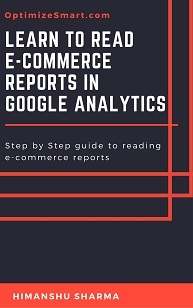 So for example, if your enhanced ecommerce tracking is not setup correctly then there is no guarantee that you will get a reliable answer from AI, regarding your ecommerce data. Similarly, if your event tracking is not set up correctly, then there is no guarantee of getting a reliable answer from AI. “We understood your question, but there is no data for your profile in this time range”. 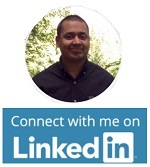 “Sorry, we did not understand enough of your question to provide a reliable answer. 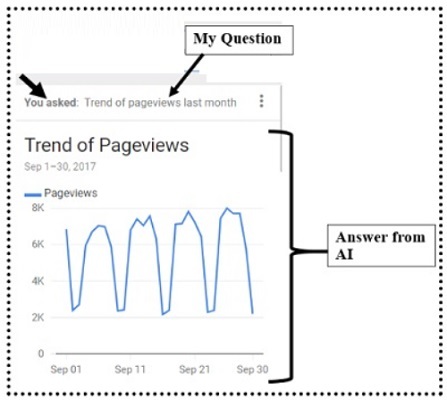 Sometimes AI is able to understand your question but is not able to query the data. In that case, AI will not be able to answer your question but can suggest you another similar question which it can answer. 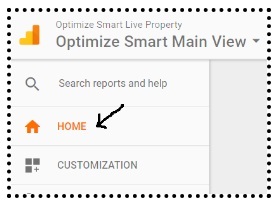 How to use Google Analytics Intelligence? 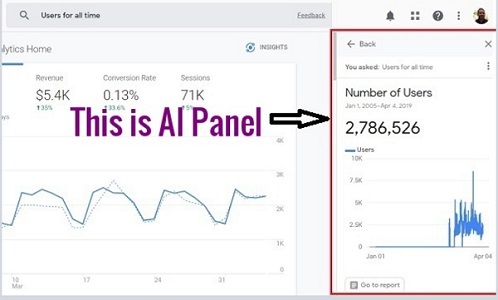 Note: If you try to use AI for a brand new reporting view, Analytics Intelligence will not be able to provide any answer to your question and you are likely to see following message: “We understood your question, but there is no data for your profile in this time range”. 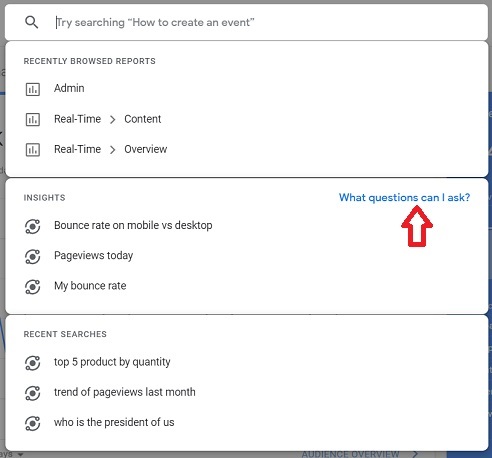 Step-5: Now enter the question you want to ask from the analytics intelligence and then press the ‘enter’ key. 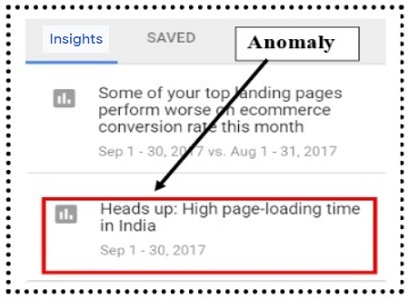 In order to generate this insight, the AI regularly scan your Google Analytics data and search for outliers in the time series data. 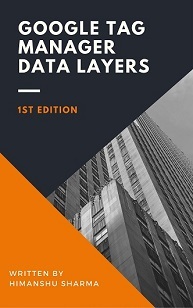 These outliers are major changes in data trend which can positively or negatively impact your business. 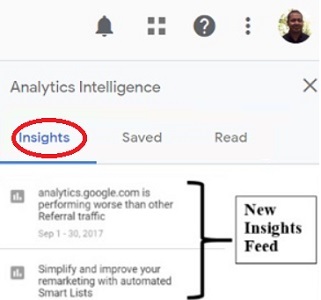 The AI insights are classified into: Insights, Saved and Read feeds. The AI panel display insights in the form of feed. The feed which contain new insights is called the insights feed. The new insights in your feed are ranked overtime according to your interest in particular insight(s). 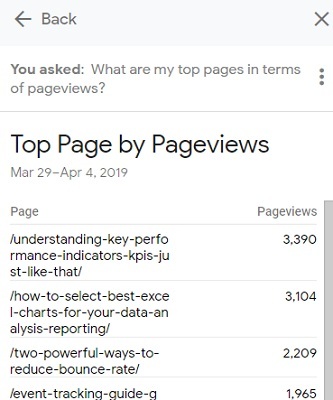 So the insights you are most interested in or the one which you click the most (to view it in detail), starts ranking higher overtime, in the feed. 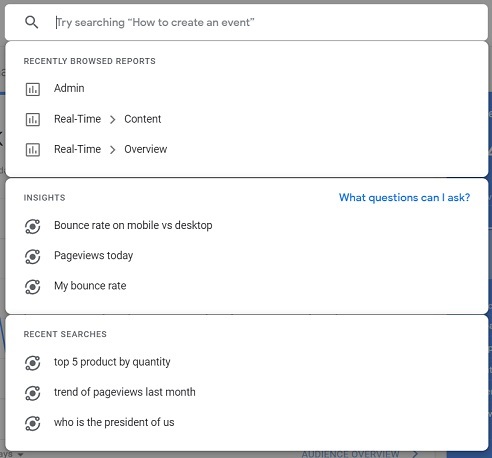 The new insights feed is personalised for each user even for the same reporting view. So different people using the same reporting view, can see different insights listed in the insights feed. The AI panel display saved insights in the form of a feed. 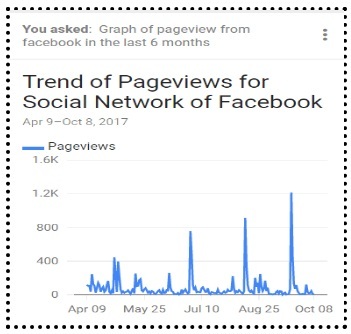 The feed which contain saved insights is called the saved insights feed. 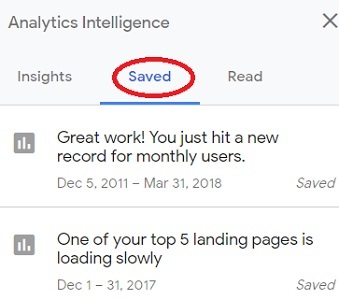 The most recent saved insight, rank at the top of the save insights feed. 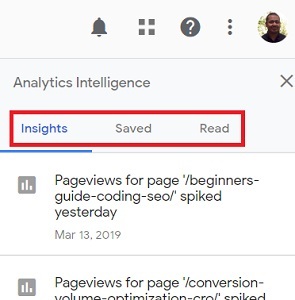 The saved insights feed is also personalised for each user even for the same reporting view. 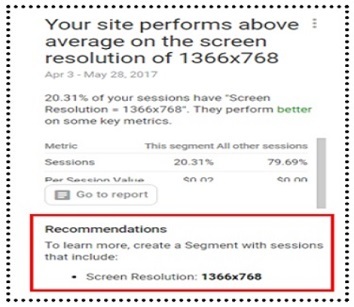 So different people using the same reporting view, can see different insights listed in the saved insights feed. 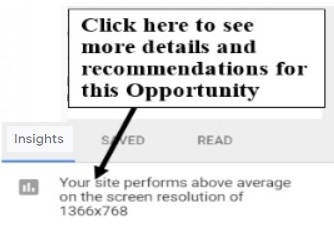 Note: You can also save an insight without clicking/reading it. A read insight is the one which you have not viewed / read. 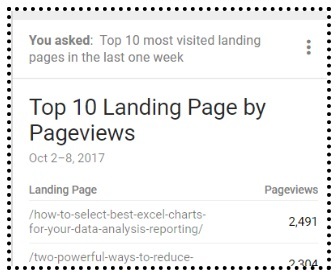 The most recent viewed insight, rank at the top of the read insights feed. 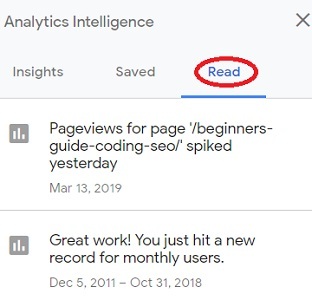 The read insights feed is also personalised for each user even for the same reporting view. 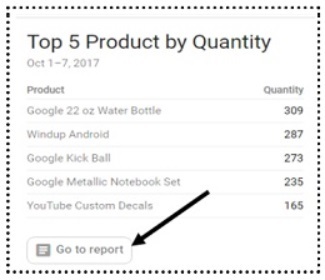 So different people using the same reporting view, can see different insights in the read insights feed. 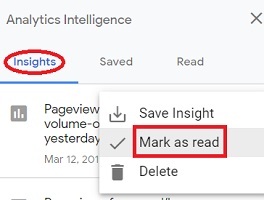 Note: You can not mark an insight as unread. An insight once deleted can not be recovered. 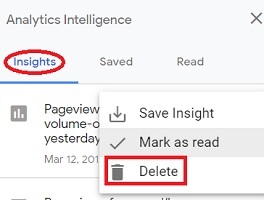 Note: If you delete an insight from the ‘read feed’ which is also available in the ‘saved feed’ then it will be removed from both feeds. The outliers which can positively impact your business are called ‘opportunities’. The outliers which can negatively impact your business are called ‘anomalies’. 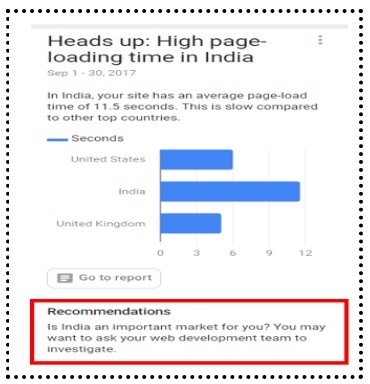 If AI tell you that in India, your website has an average page-load time of 11.5 seconds and this is slow compared to other top countries then you need to decide whether India is an important market for you. The questions that you ask from AI do not have to be in the form of questions. What that means, your questions do need to start with: ‘what’, ‘when’, ‘where’, ‘how’ etc and end with a question mark. Your questions do not need to be grammatically correct either. You can also ask those questions which sound more like a statement or words than a proper question. 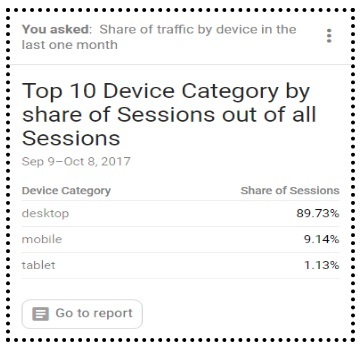 For example: “trend of new users this week” or “sales today”. #1 AI is not very good in answering questions which begin with ‘why’. So if you ask a question like: “Why my website bounce rate so high”, you are not likely to get any answer. 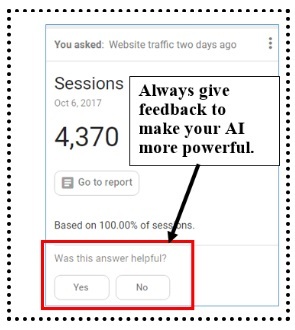 #2 AI is not good in answering questions which ask for advice. So if you ask a question like: “which marketing campaigns should I invest in”, then most likely you won’t get any answer. 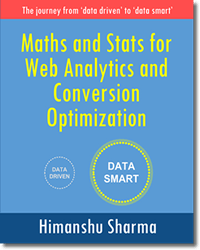 #3 AI is not good in answering questions which ask for explanation like: ‘What is bounce rate’, ‘what is ecommerce conversion rate’ etc. #4 AI can not answer generic questions like “What is the temperature today” or ‘who is the president of US at present‘. 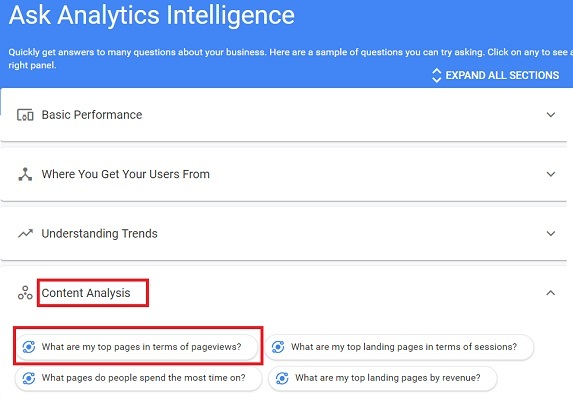 The questions that you ask from AI should be related to your Google Analytics data. 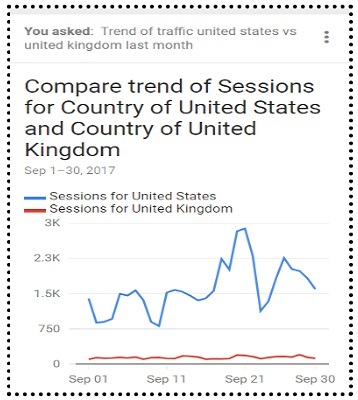 #5 AI is not good in forecasting data/trend for you. 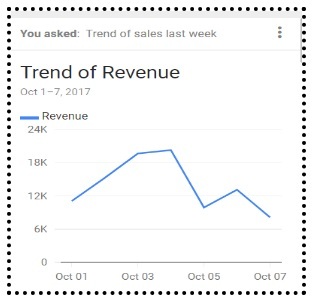 So if you ask a question like “what will be my website sales in the next 6 months?” then either you won’t get any answer or you may get an inaccurate answer. Google recommends that you should be as specific as possible when asking your questions. If you want AI to compare different data sets then include the words in your questions which indicate comparison. You can use AI to ask top 10, top 20 or top anything questions. By default AI assume a default date range of last 7 days or last 30 days (depending upon your question). Today. For example “sales today”. Yesterday. For example “sales yesterday”. Two days ago. 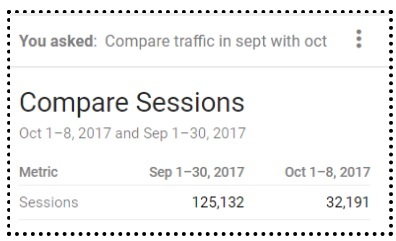 For example “website traffic two days ago”. 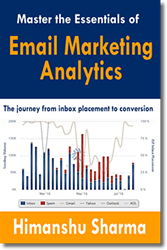 How to make Analytics Intelligence more powerful for you? 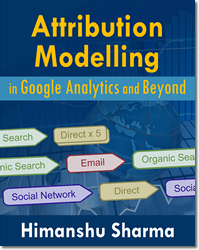 Analytics intelligence is a machine learning algorithm. So more you use AI the better it will become overtime. The answers you click on. 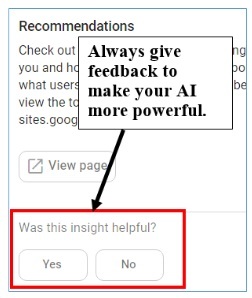 This manual feedback will help your AI tremendously, in tweaking its algorithm and providing better and more accurate answer/insight on its subsequent usage. 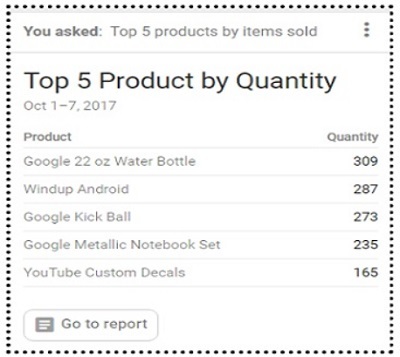 As Analytics Intelligence learns more, via your feedback and AI usage, its: autosuggestion, autocomplete, auto-reference and Insights features get smarter over time. However bear in mind that the quality of an answer/insight from AI depend upon the quality of data, you have collected. So if your data collection is not accurate then the answer / insight delivered by AI may never be reliable. 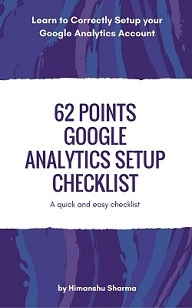 So it is imperative that you fix as many data collection issues as possible before using Analytics Intelligence. 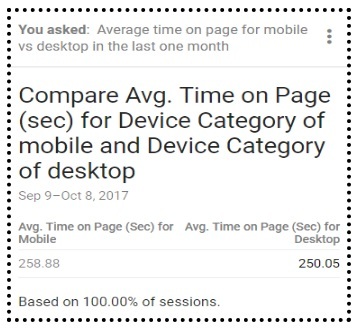 Note: Analytics intelligence is also available in the Google Analytics app for mobile and tablet devices.